So here is Hetty, knitted with long sleeves because it’s winter and short or 3/4 sleeves just don’t cut the mustard at this time of year. Yarn used is Sirdar Balmoral in Royal Purple, pattern is Striped Hetty from The Second Sublime Double Knitting Book and the photographer (me) needs to be shot! 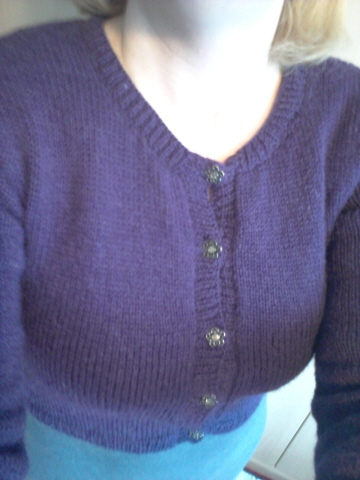 I have had so many compliments on this when I’ve worn it that I am very tempted to knit another. I have some yarn lurking in a cupboard that would do very nicely. Actually I have several possible yarns so I may even do a 3/4 sleeved one for the summer….. 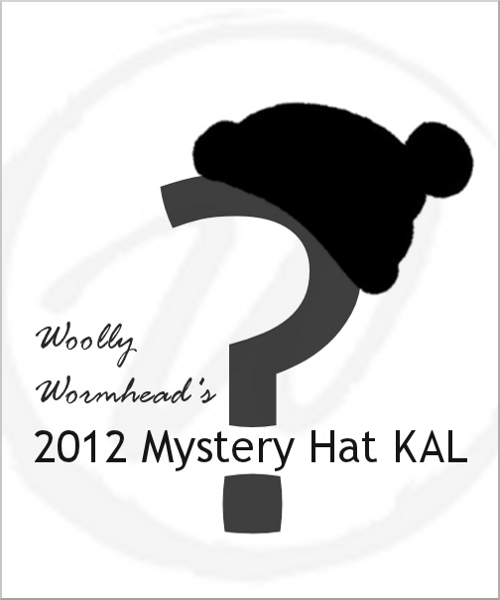 I have taken the plunge (with occasional wonderings at my wisdom) and signed up for Woolly Wormhead’s Mystery Hat Knit-A-Long, which began today http://www.woollywormhead.com/blog/ (sorry I can’t do fancy one word clicky links and nobody seems willing to tell me how, in spite of my asking again and again!) I am all set up and ready to cast on, except I am waiting for my long cable to arrive, posted today so hopefully tomorrow will the The Day! I am using some thickish sock yarn from Willo Alpacas, a company local to me who sell at shows and farmer’s markets http://www.willoalpacas.com/ It is purple with silver sparkles in and I hope it’s ok. Being lazy I am not knitting a swatch, because the hat will always fit somebody so it can be a gift if it isn’t right for me. Hurry up Postman, I want to get going on the first installment! !